In a digital era where online platforms are prominent spaces for everyone, cyberbullying and trolling have become a harsh reality. The cases of cyberbullying are rapidly increasing in India. Technological barriers make it more complicated and act as a hindrance in dealing with tackling the issue of cyberbullying. As cyberbullying is difficult to track, many victims feel helpless and alone, and are unable to cope with the situation, especially if the bullying is personal. The cyberbullying can take a person in a stage of depression and anxiety. In many cases, it also results in developing suicidal tendencies in the victims. 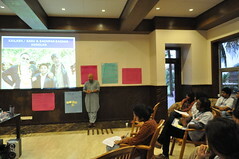 On 1st September, we at Haiyya took leadership on this issue by hosting a training camp – ‘Post. Don’t Rost’ in collaboration with Software Freedom Law Center (SFLC) and 91Springboard. The idea of the camp was to provide training on organizing skills to the participants so that they can take leadership and act on the issue of cyberbullying. Our knowledge partner SFLC shared the different measures that we can use to make ourselves safe and avoid trolling. What is private and what is public online? : In the online world, while we might think there are private spaces, it is only to a certain extent, as essentially, nothing online is private. Shashikanth from SFLC shared that whatever one uploads, shares or searches online, it can be tracked. So it is important to be aware of what one is sharing and what information are they putting online. Are they personal details? Is it necessary to share it on social media? He also shared some measures that someone can use to avoid trolling and bullying online. Secure your all devices like laptop, phone or desktop with random or a complex password and change the password frequently. Do not reuse any password. Enable 2-factor authentication and be careful about privacy protection like do not install app or download file from untrusted source. Always mind your permissions on the app. Use privacy respecting search engines like DuckDuckGo, Startpage etc. and app like signal, Jitsi, 10minutesmail.com to avoid giving your personal details. Generally, people try to solve trolling cases on the table without filling a case. As no real action is taken, this can result in the troller feeling confident to do the same thing again. There are legal provisions that exist, that can be used to punish perpetrators, and we should use them. Anjali Prabhakar, Haiyya’s campaign manager and a lawyer shared that the Information Technology Act 2000 was introduced to deal with these issues. There are remedies under IT Act 2000, Sec 66A, Sec 66C, Sec 66D, Sec 66E, Sec 67, Sec 67A, Sec 67B, Sec 67C and Sec 45 which can criminalize any kind of online harassment and bullying and you can book someone by using these laws. Identify your people: A campaign cannot always be run alone by a person, one will need capacity to achieve success and a big win. To scale any campaign, identifying your people and the resources in your community is very important. The action depends on the diversity of your community and the resources they have. In order to identify your people and their power, organizing plays a very important role. The same thing applies to a cyberbullying campaign, and during the camp, participants identified their people and their resources. Their target community is young people (as they are most affected), lawyers, teachers, media, police and cyber experts. Resources like helpline no., laws, cyber expertise, time, network of young groups etc. If one can identify their target audience and the resources they have, build collective power and drive change. Using your power: Identifying your power is one thing but how you will use it depends on your organising skills, your leadership model etc. To function effectively in a team, understanding leadership is key to success. Interdependent leadership model makes any campaign sustainable and can be replicated. When it comes to cyberbullying, the collective power you build by identifying your people can be used to power over on police to file complain and take action against, judiciary to punish the tollers and government to take this issue seriously and make strong laws to fight against the cyberbullying. Alok Ranjan is the Grassroots Campaigner working with Haiyya Foundation. He closely works on the issues like gender, environment and health. This entry was posted in Delhi, Haiyya Camps on September 13, 2018 by haiyya. Four weeks ago, I left a cold wet Australian winter and arrived in the heat and hustle and bustle, of Delhi. 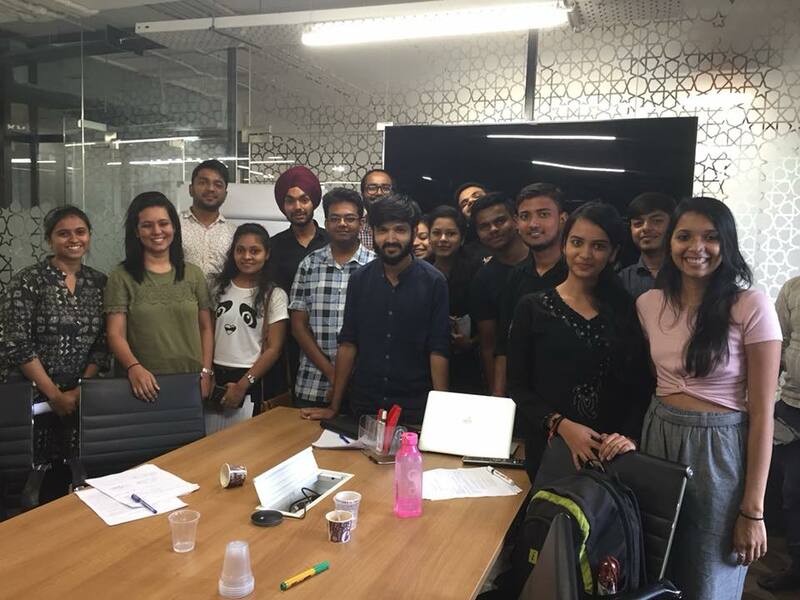 In the month of July undertook a research project for Haiyya in order to investigate the types of methodologies, tools and practices utilised by some of the top youth-led activists, movements & community organizing groups in India. The aim of this project was to identify the community organizing practices activists and campaigners are utilising in their work and to disseminate the findings with Haiyya’s networks. The hope is that this in turn will provide the community organizing sector with a resource to support campaigning and leadership initiatives in India. Which is the most common approach of community organizing being utilised? The survey revealed that all participants utilised community organizing framework in one way or another. 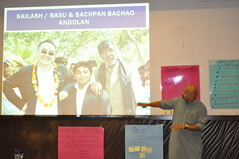 The approach varied, some participants utilised peer education and others took a participatory approach. However, the most common theme was the use of narrative. The sharing of stories and experiences with others in order to create relationships, empower people to lead and create lasting social change. When deciding the types of campaigns that the activist or community organizing group should undertake, participants largely responded that they or their organization were guided by social justice issues impacting communities. Is an organizing plan necessary for campaign initiatives? And if so, what should this plan consist of? Seventy-five percent of participants felt that an organizing plan was essential for campaign initiatives. These participants stated that a good organizing plan should incorporate interest and input from the community volunteers, mentoring and supervision of volunteers and new leaders, and agreement on goals of desired impact. 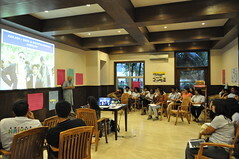 In addition, participants stated that in order to build a campaign on the right foundation, it is important for a plan to include participation of all stakeholders, how progress will be monitored and to always consider the social justice issue you are working towards in the approaches you undertake. So why do people mobilise to act on social justice issues? Activists and community organizers stated that people are predominantly motivated to act or lead due to oppression, the social justice issue at hand or the immediate consequences of the campaign. For example, one particular activist was working on a campaign to normalise and reduce embarrassment surrounding women’s undergarments, the campaigner hung bras on a wall to protest an issue and also to normalise women’s undergarments. In addition, the survey revealed that activists and organizers felt that people are also motivated to act through a sense of belonging, relationships of trust built with campaigners and community, and hope for a better future. What are some key challenges community organizers face when mobilising people to act? What makes for successful campaigns? Participants in the study stated that a successful campaign should take a grass-roots, bottom up approach that incorporates open communication, a functional and proactive feedback loop and be process orientated as opposed to outcome orientated. What makes for unsuccessful campaigns? The study revealed that most activists and community organizing groups found that a campaign that incorporated judgemental language, was antagonistic towards the community they were working in and one that used a ‘cookie cutter’ model of campaigning with no flexibility was destined to fail. Karen is a student at University of Sydney pursuing Masters of Human Rights. She worked as a researcher for Haiyya for the months of June – July. This entry was posted in Collective action, Delhi on August 6, 2018 by haiyya.